Everywhere you look, people are gearing up for fall activities. Goblins, ghouls, ghosts, scarecrows, and pumpkins are increasing curb appeal. The CBCrew is joining the fun with festive decorating for October. Some people prefer Halloween-themed décor while others favor more elegant and traditional fall looks. Still others enjoy a mix of both. Check out the CBCrew's different decorations. 1. Janie Hickle, CBCrew - Spooky and scary, Janie's decorations scream, "Halloween!" Janie's inside decorations make you feel like you're in a haunted house. 2. Abby Smith, CBCrew - Abby's home is decked out with a mix of Halloween and fall, including scarecrows, fall leaves and Frankenstein. From the moment you walk in Abby's door, the holiday spirit envelops you. Abby can put away the jack-o'-lanterns after Halloween and still enjoy her autumn stylings through Thanksgiving. 3. Mary Larsh, CBCrew - Indoor and outdoor decorations are a must for Mary. She likes to decorate with homemade items that she has saved forever. Her scarecrow, Wilber, and witch, Wendy, have been Halloween staples since she was a little girl. 4. Nicki Sasa, CBCrew - Elegant and beautiful, Nicki has chosen fall decorations that will last all season. Nicki's colorful mums are not only lovely, but they also come back year after year! Miley, Nicki's dog, is modeling in front of the beautiful corn stalks and pumpkins that accent the front door. Miley can be spotted helping Nicki greet the trick-or-treaters. 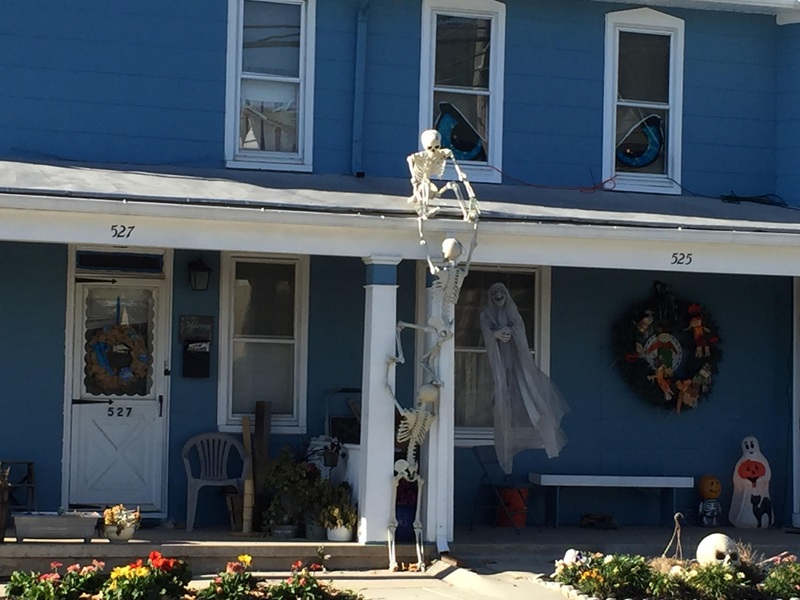 What fun, beautiful, creative, or scary decorations have you seen this season? Share a photo of your favorite October decorations with us on Facebook!